Hypermesh, from Altair, is a high- performance Finite Element pre-processor which can deal with very complicated models. It reduces the time taken to perform analysis and gives an accurate result. 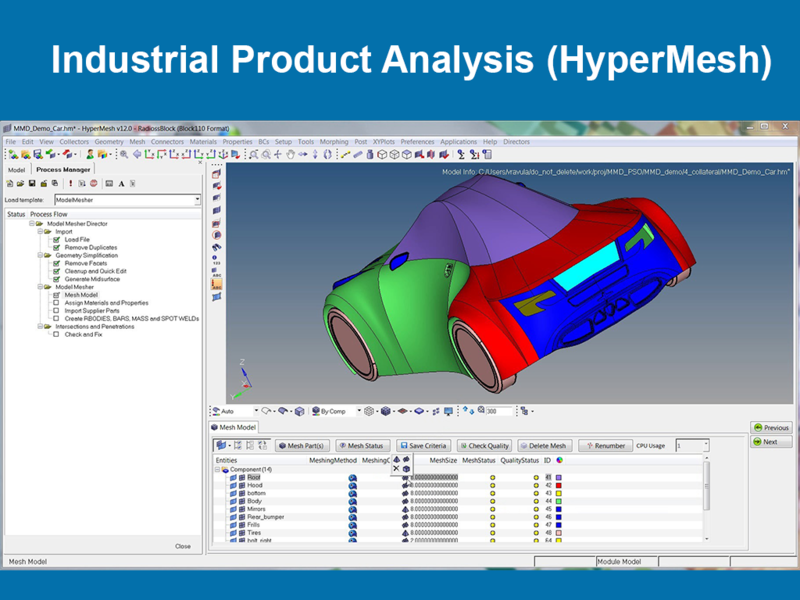 Hypermesh offers the biggest variety of solid meshing capabilities in the market. Altair HyperWorks’ (Creator of Hypermesh) patented on-demand software licensing system is leading the PLM market sector in providing value and technology. Aerospace companies like Airbus, Boeing, GE Aviation use one or more softwares from Hyperwork. In Automotive CAE, Altair is the recognized leader, with more than 20 years of providing best-in-class modeling, solution and optimization tools. HyperWorks is used by most of the world’s leading automotive companies and their suppliers.